“Scott Pruitt embodied the ethical emptiness of the Trump administration, and his departure was long overdue. While Pruitt’s nonstop scandals may have grabbed most of the headlines, the Trump administration’s ethical problems run far deeper and aren’t going away any time soon. 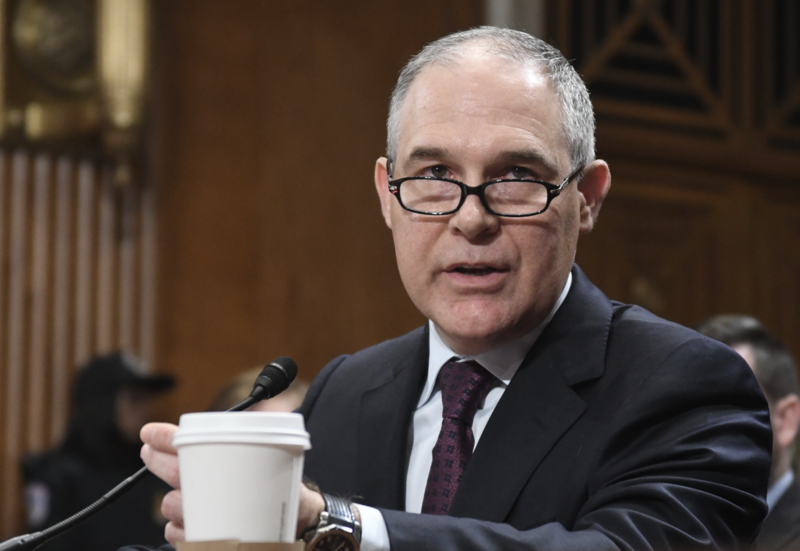 Acting Administrator Wheeler’s first task will be to clean up the pollution at his own agency, but after the damage that Pruitt wrought, remediation could take years,” said Austin Evers, Executive Director of American Oversight. American Oversight has been investigating Pruitt since early 2017 and has filed nine lawsuits and over fifty Freedom of Information Act requests to uncover information about Pruitt’s activities at the EPA. Last fall, American Oversight obtained and posted a detailed version of Pruitt’s calendars, showing extensive meetings with energy and chemical industry interests. After news reports surfaced earlier this week that Pruitt had apparently kept a secret, unreleased calendar, the watchdog group announced it would seek to obtain those calendars as well. American Oversight plans to send additional FOIA requests to EPA today seeking communications and calendar records of Andrew Wheeler, the current EPA Deputy Administrator who President Trump announced would succeed Pruitt at the head of the agency.